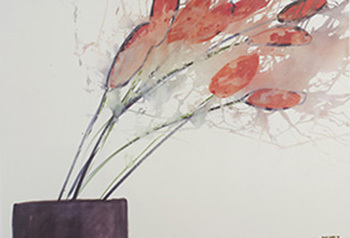 ... to my website which will give you information about exhibitions, books, calendars, painting classes, galleries of watercolours, giclées and limited editions. 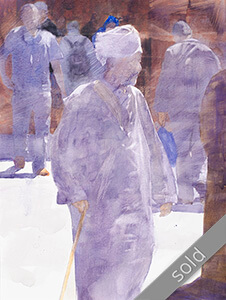 I am Klaus Hinkel, a professional artist for more than twenty years and I hope there are thirty more years or so still to come. 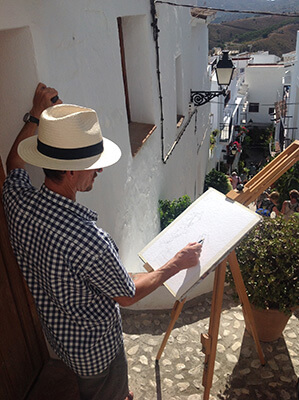 see video "Painting with klaus hinkel"
My art studio is situated in the small village of Frigiliana, a very picturesque Andalusian white village, and I usually open in the morning from 10 to 2 o`clock. 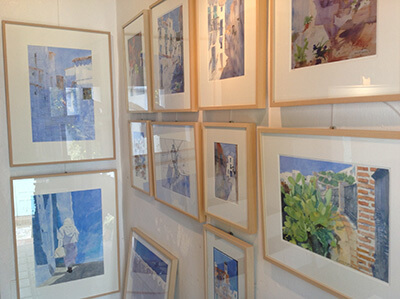 There I have a permanent exhibition of my watercolours, linocuts, sculptures and acrylics. 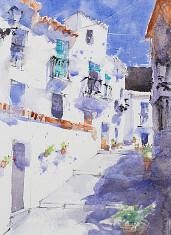 The subject matter includes the white villages of Andalusia, townscapes from Malaga, Cordoba, Madrid..., still lifes, nudes, landscapes, portraits, abstract art ... and many new works about Chefchaouen, the blue village of Morocco. 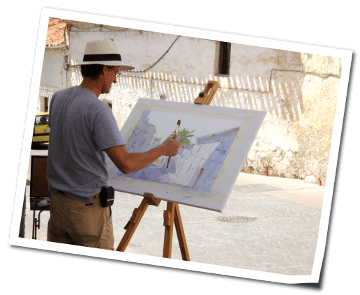 2016 was my 20 years Anniversary Watercolour Studio Frigiliana! INSTAGRAM You can see a new watercolour every day on my account "hinkelklaus" !!!!!! !